The Versus Sports Simulator was developed by Steve Pugh, an American mathematician who has won several prediction accuracy awards and is regarded as a pioneer in sports statistics. Elegantly simple user interface delivers easy to understand statistics derived from complex mathematical algorithms. 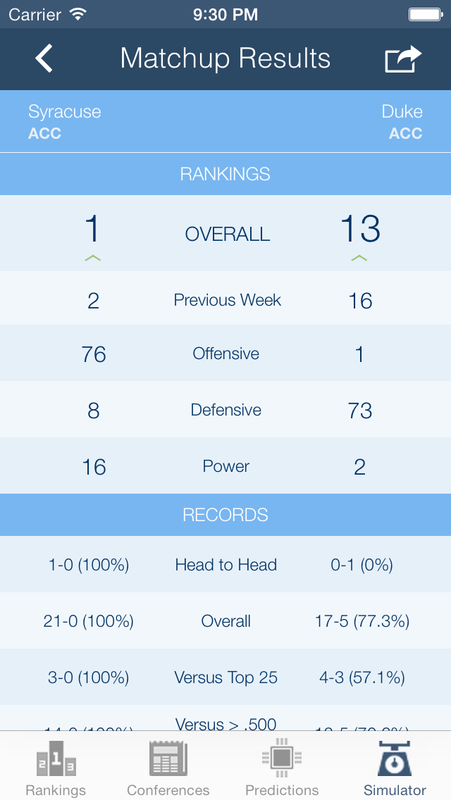 Arms you with state of the art insights on overall team performance, power, offensive/defensive strength, and schedule strength. 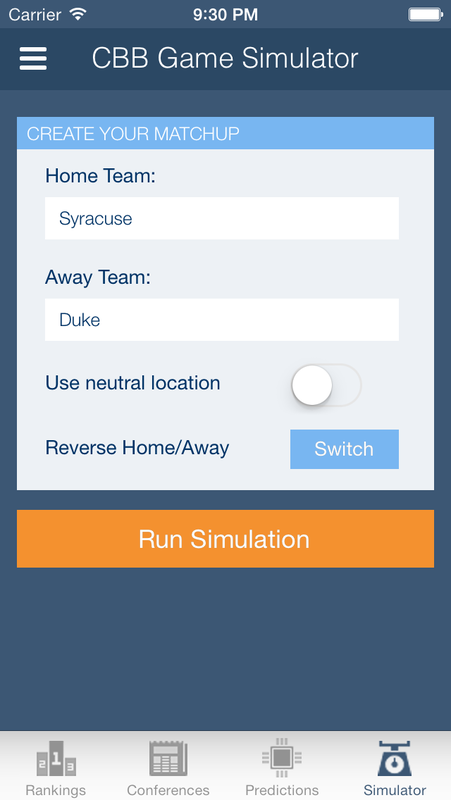 You choose the teams and simulate the projected outcome. 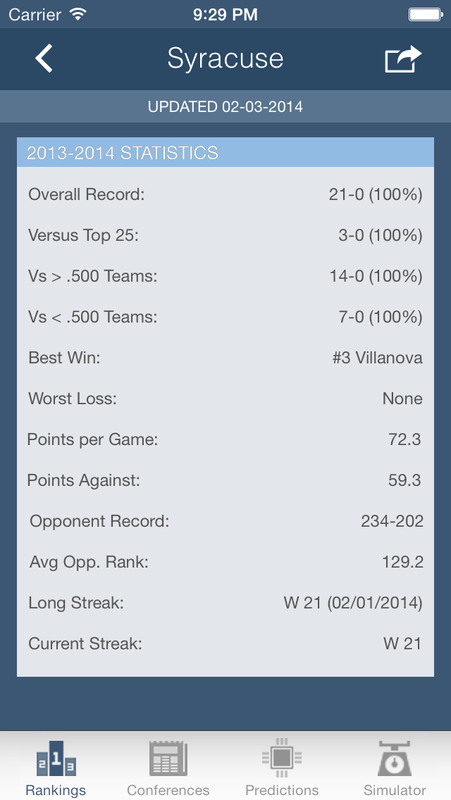 Compare side-by-side statistics. Make informed decisions. 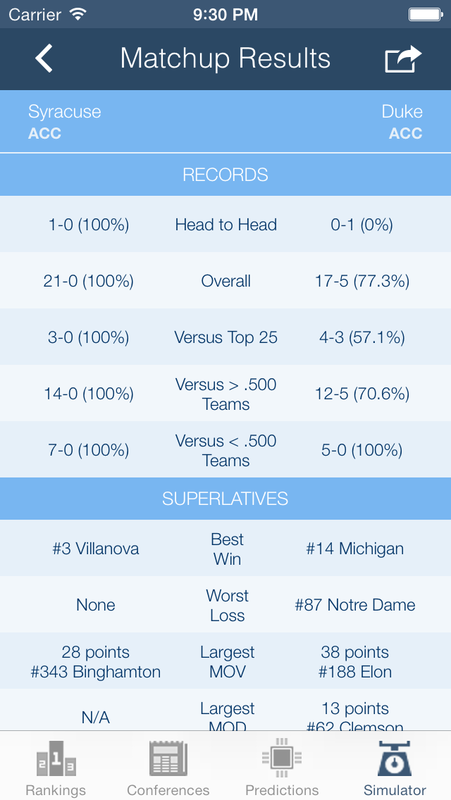 Score predictions for every single game published weekly (unlimited with paid subscription). 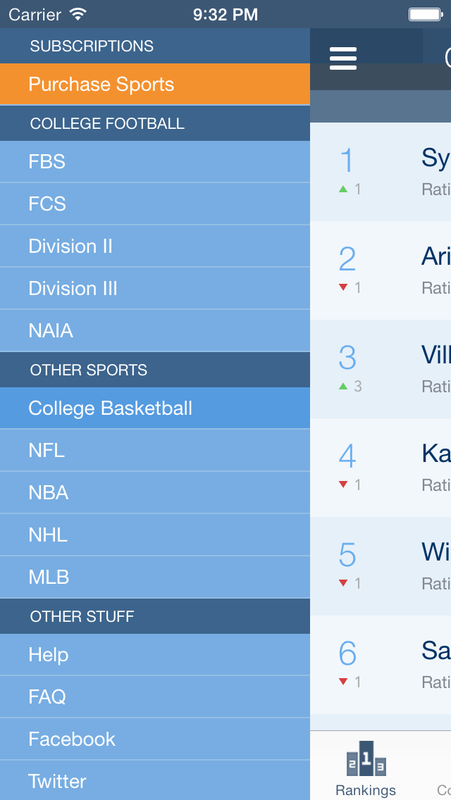 The Versus Sports Simulator delivers rankings, game predictions, and statistics for hundreds of professional and collegiate teams. 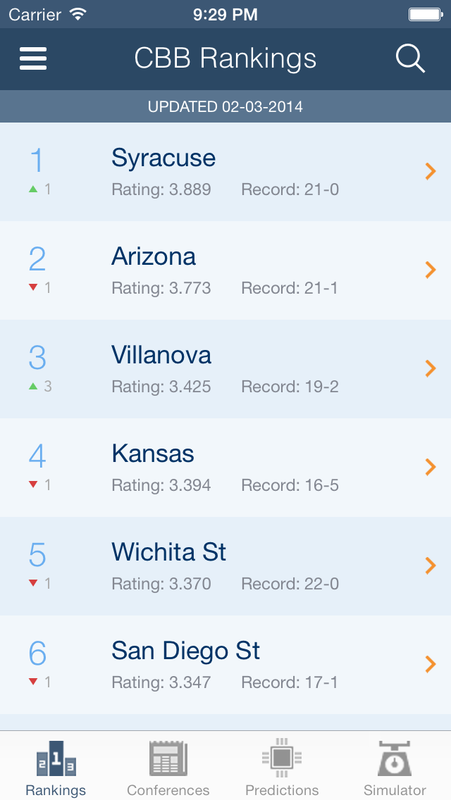 The app uses an advanced mathematical algorithm to generate weekly team ratings which are used to rank teams, predict game scores, and power the Game Simulator. 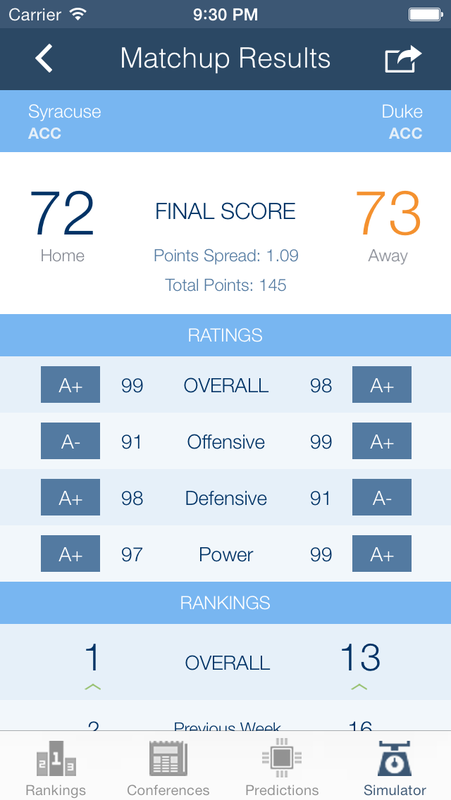 The Game Simulator, available for unlimited use through non-renewing subscription, allows you to simulate any possible matchup and view the predicted scores along with a side-by-side stats analysis. This is the perfect companion for my NCAA Tournament bracket! March Madness here I come!! This is a great app.. 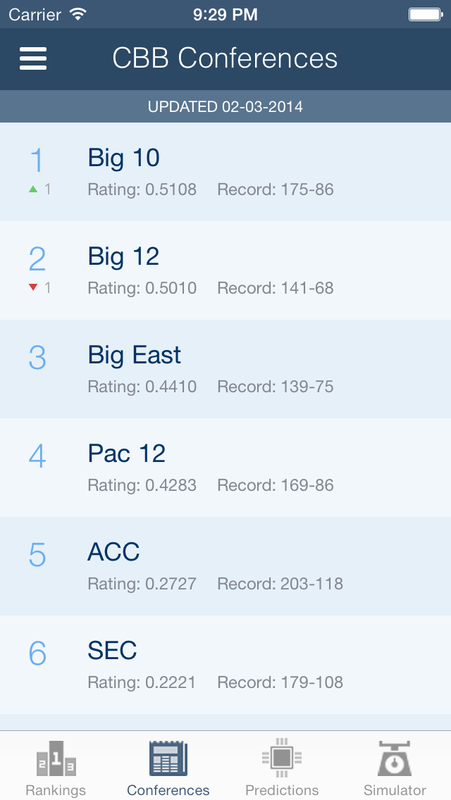 I'm thrilled to have accurate statistics and rankings of all my favorite teams. It's a must have for all sports fans. Excellent! 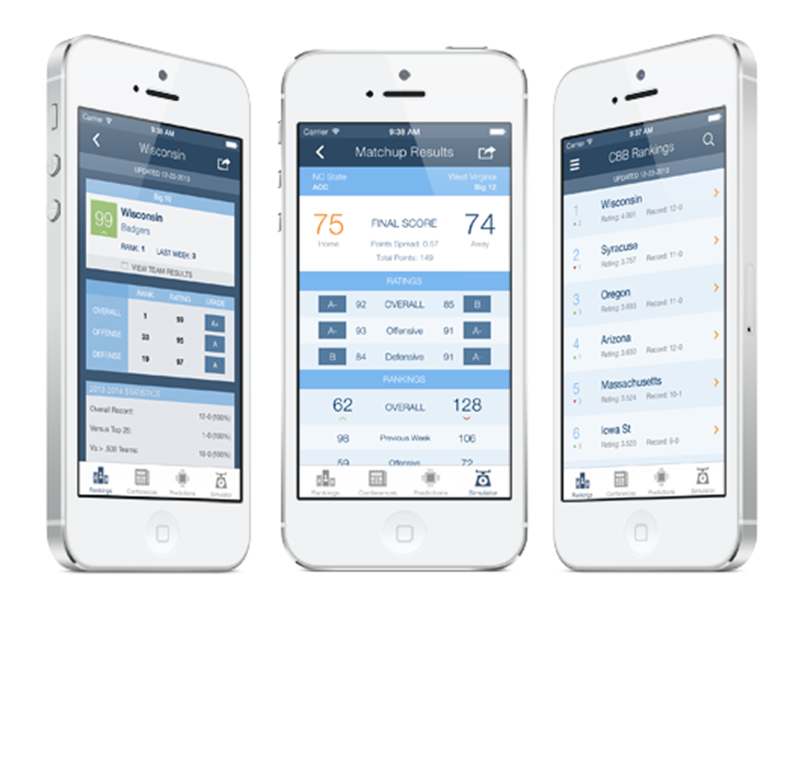 The best prediction mobile app available. I use it daily. Fast and accurate! Interface is fast and clean. Easy to read and not jumbled. Predictions look accurate. Has all the right leagues and teams. Nice app!! This is the first time I have ever rated or commented on an app. Went out of my way to make sure I give this 5 stars. Great app. The game simulator and predictions are fun. Gives good insight. 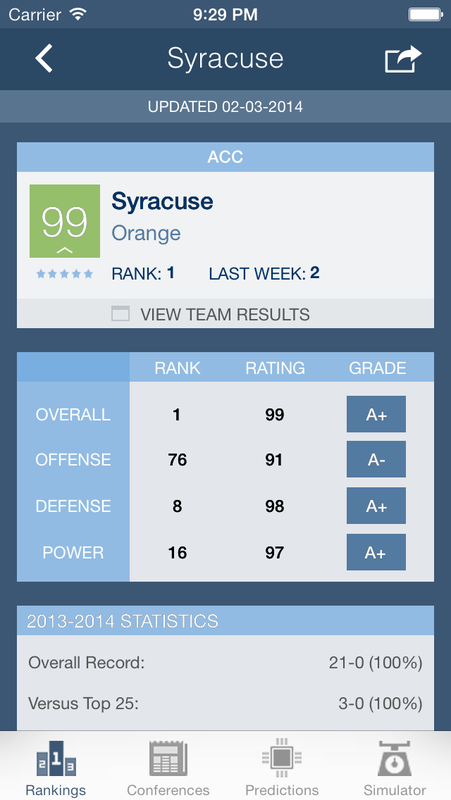 Download the FREE App on your iPhone or iPad. If you have questions or just want to say hello, we would love to hear from you. 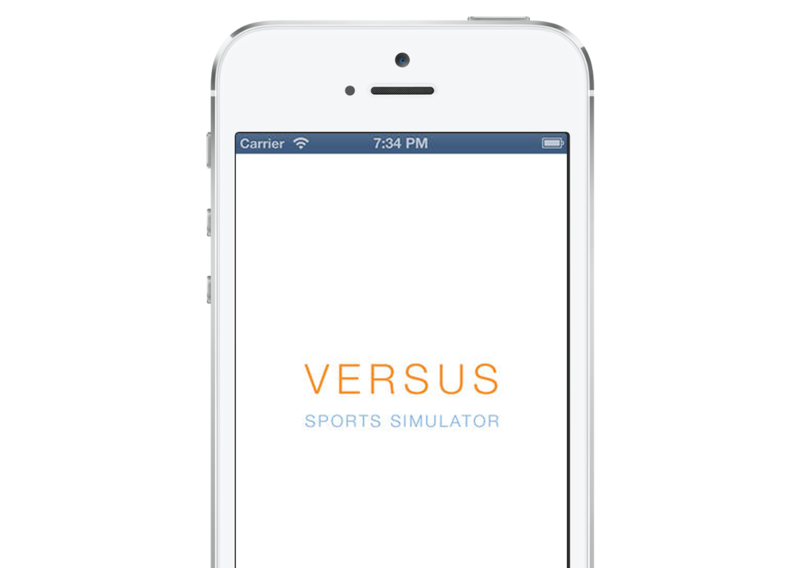 DISCLAIMER: The Versus Sports Simulator is not affiliated with any league, conference, team, or other sports organization. Game simulations and predictions are for entertainment purposes only and should not be used for wagering. 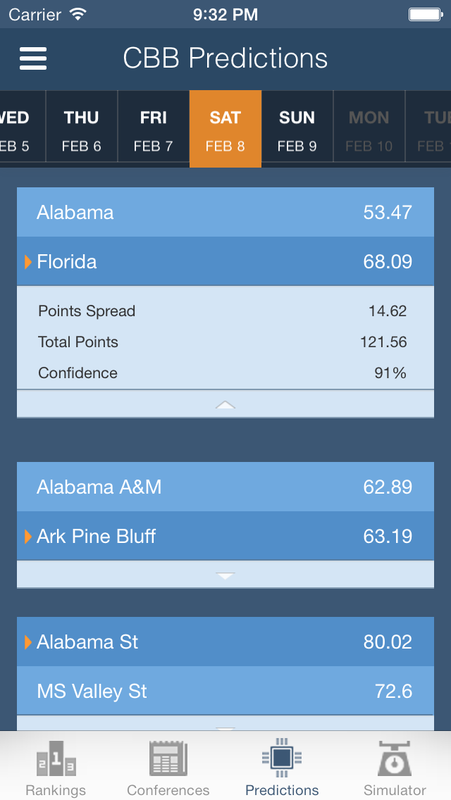 Score predictions are generated using an advanced mathematical technique using win/loss and scores data and do not take into account weather, time of day, player injuries, or any other external factors.